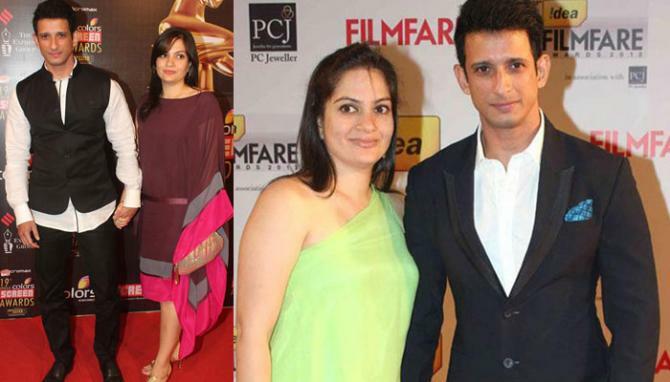 These actors enjoy every bit of being a son-in-law of renowned Bollywood families. Read on to know about a few such stars who got married to the daughters of eminent B-town personalities. Kunal Khemu became a part of the Nawabi family, when he married the legendary cricketer Mansoor Ali Khan Pataudi, and yesteryear actress, Sharmila Tagore's daughter, Soha Ali Khan. The two fell in love when they worked together in the movie, Dhoondte Reh Jaaoge. 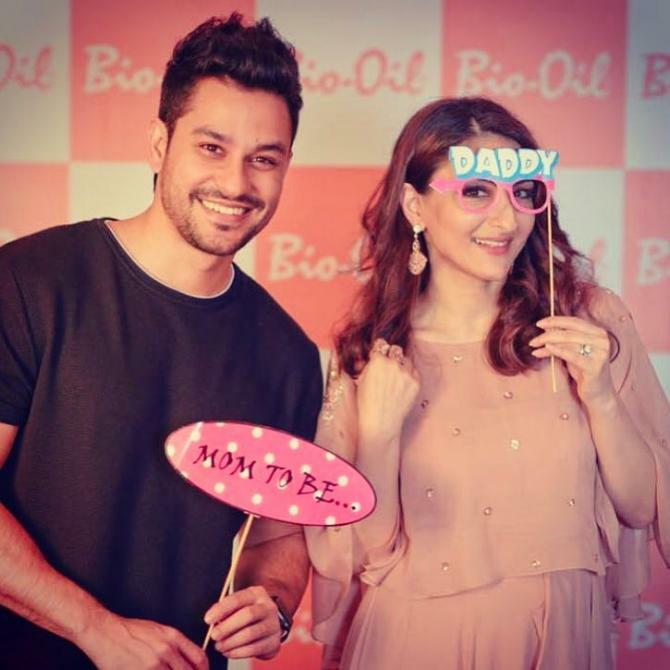 They got engaged in 2014 when Kunal proposed Soha in Paris. They even had a two-year long live-in relationship. Finally, the couple tied the knot on January 25, 2015. 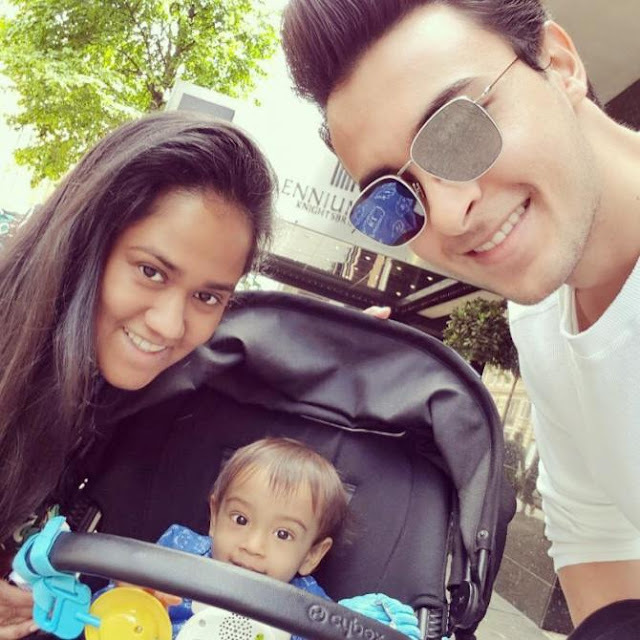 Aayush Sharma became a part of Bollywood's 'khandaan', as he married Salman Khan's baby sister Arpita Khan on November 18, 2014. Aayush is a Delhi-based businessman and his father Anil Sharma is a politician. Aayush and Arpita met each other in 2013 through common friends and they were dating since then. Together, the couple has a baby boy, who was born on March 30, 2016, and they lovingly named him Ahil. 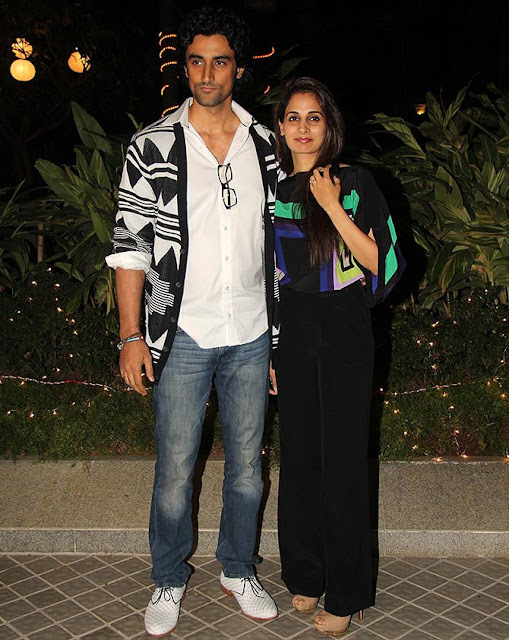 The Rang De Basanti actor, Kunal Kapoor married his ladylove, Naina Bachchan on February 9, 2015, in Seychelles. Naina is the daughter of Ajitabh Bachchan, and niece 'Big B', Amitabh Bachchan. It was the elder daughter of Amitabh Bachchan, Shweta Bachchan Nanda, who played cupid between the two. The couple dated for almost three years before they got married. 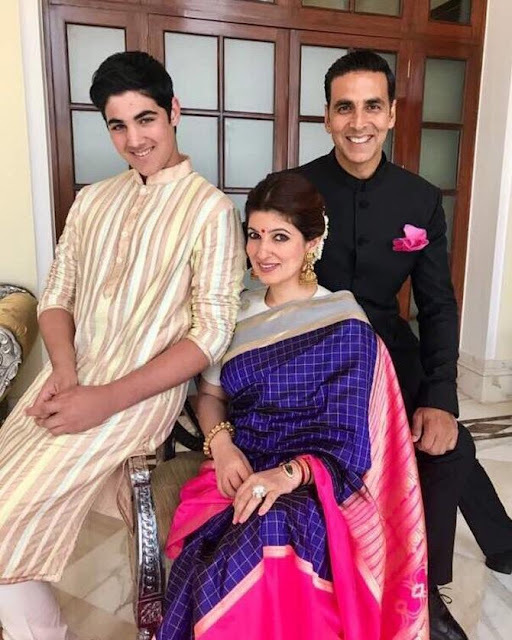 Akshay Kumar was quite a ladies’ man before getting hitched to Bollywood superstars, Rajesh Khanna and Dimple Kapadia’s daughter, Twinkle Khanna. The couple tied the knot on January 17, 2001. They are now proud parents of two kids- son Aarav and daughter Nitara. 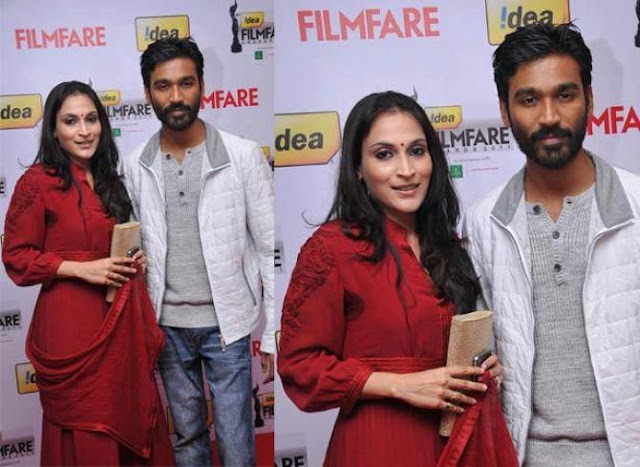 Married to superstar Rajnikanth’s daughter, Aishwarya, Dhanush created a niche for himself in Bollywood with his performance in Raanjhanaa. Although, the rumours were abuzz that it was a love marriage, but Dhanush vehemently denied it. The couple finally tied the knot on November 18, 2004, in a private ceremony attended by close family members. Well, Saifeena’s marriage was no less filmy. After the Nawab of Pataudi divorced his wife of 13 years, Amrita Singh, he had a relationship with an Italian model, Rosa Catalano, which too ended after a few years. On the other hand, Kareena, daughter of actors Randhir Kapoor and Babita, also broke up with Shahid Kapoor. Sparks flew between Saif and Kareena on the sets of Tashan. After a five-year courtship, Saif married Kareena on October 16, 2012. 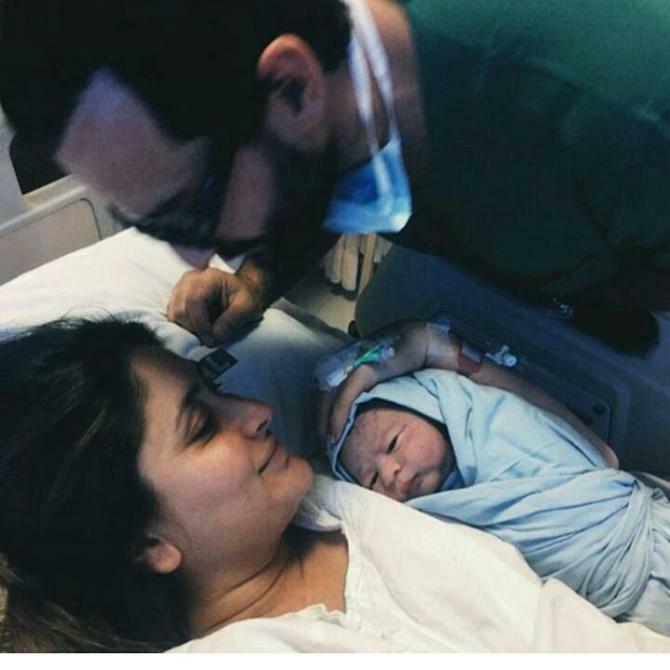 The lovebirds became proud parents to a baby boy on December 20, 2016, and named him Taimur Ali Khan. The saying that 'opposites attract', stands true for this couple, Ajay Devgn and Kajol. The shy actor fell for the vivacious actress while filming for Gundaraj in 1994. After a four-year relationship, Ajay married Kajol, daughter of Tanuja and film director Shomu Mukherjee on February 24, 1999. However, Ajay never officially proposed to his lady love. The queen of 70s, Mumtaz is the mother-in-law of actor Fardeen Khan. Mumtaz's daughter, Natasha Madhwani and Fardeen Khan's love story blossomed at an early stage, but the marriage proposal came in much later. Fardeen actually proposed to her in a flight from London to the US. These childhood lovers got married in December 2005. Together they have a baby girl whom they named, Diani Isabella Khan and a baby boy named Azarius. Well, this Bollywood’s green-eyed boy was in love with yesteryear actor, Sanjay Khan’s daughter much before he became the nation’s heartthrob. While Sanjay (The Tipu Sultan of small screen) was good friends with the Roshans, Hrithik and Sussanne just knew each other. It is said that Hrithik fell in love with her at a traffic signal, and Sussanne’s approval came in much later. The couple tied the knot in the year 2000. However, the couple got divorced on November 1, 2014, but they are on cordial terms. The last in the list is veteran villain Prem Chopra’s son-in-law. Sharman is married to Prerana Chopra since the year 2000, and the couple has three kids- a daughter named Khyana who was born in October 2005, and twin boys, Vaaryan and Vihaan, who were born in July 2009. Sharman and Prerna first met in college during stage plays. It is to be noted here that Prerna is also an actor.